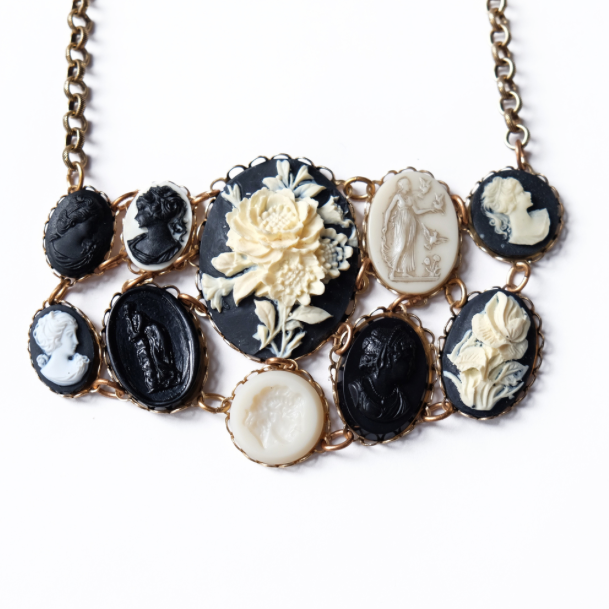 Vintage meets modern in these original brass pieces by jewelry designer Larissa Loden. Larissa is always on the hunt for treasures to turn into one-of-a-kind pieces with a story to tell. Soldering, stamping and hammering, her collection is fervently handmade in Minnesota. 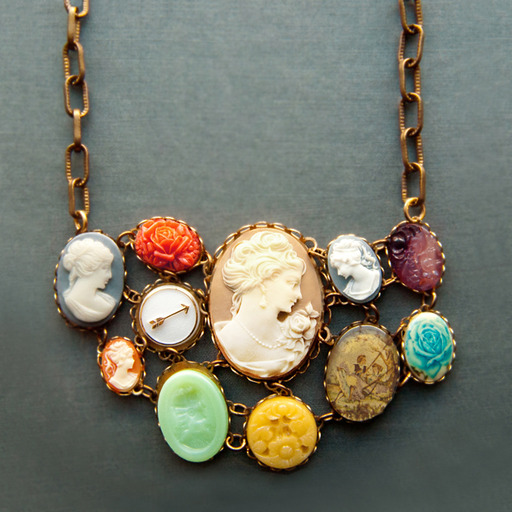 Vintage cameos of various shapes and sizes are linked together to create this 4” wide statement piece on a vintage brass chain with lobster claw closure. 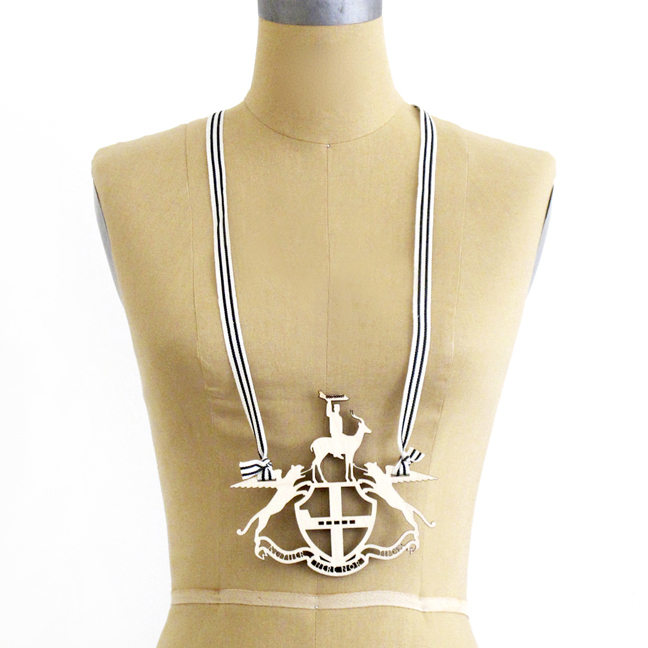 Vintage meets modern in these original brass pieces by jewelry designer Larissa Loden. Larissa is always on the hunt for treasures to turn into one-of-a-kind pieces with a story to tell. Soldering, stamping and hammering, her collection is fervently handmade in Minnesota. 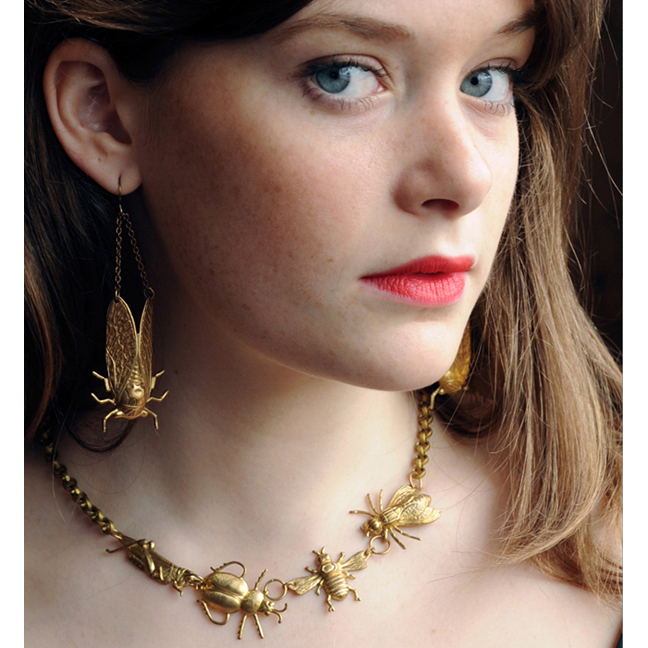 The entomologist necklace measures 21” long with 4 insect charms buzzing on a vintage brass chain. The brass cicada earrings are surprisingly lightweight for their size (total length is almost 3”) and dangle from nickel-free brass ear wires. Earrings and necklace are sold separately, but make a stunning ensemble when worn together. 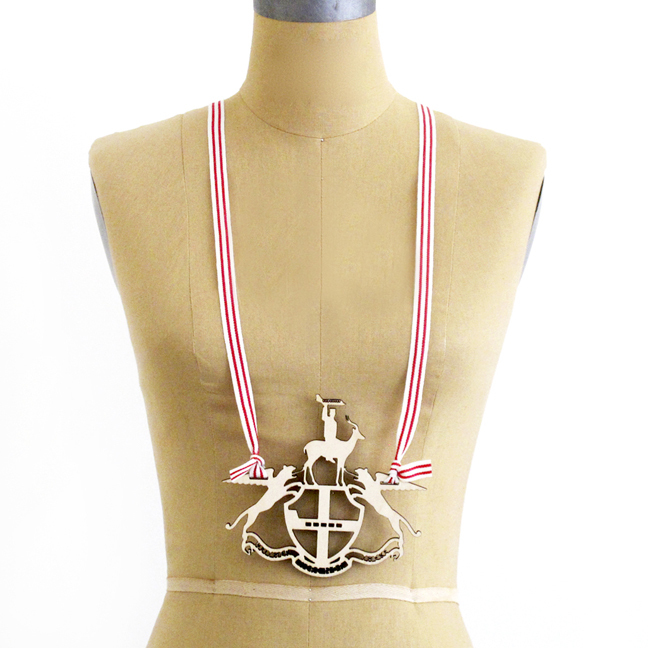 Mr Somebody and Mr Nobody’s impressive coat of arms pendant is intricately cut out of birch wood and suspended from a vintage-style cotton ticking ribbon. 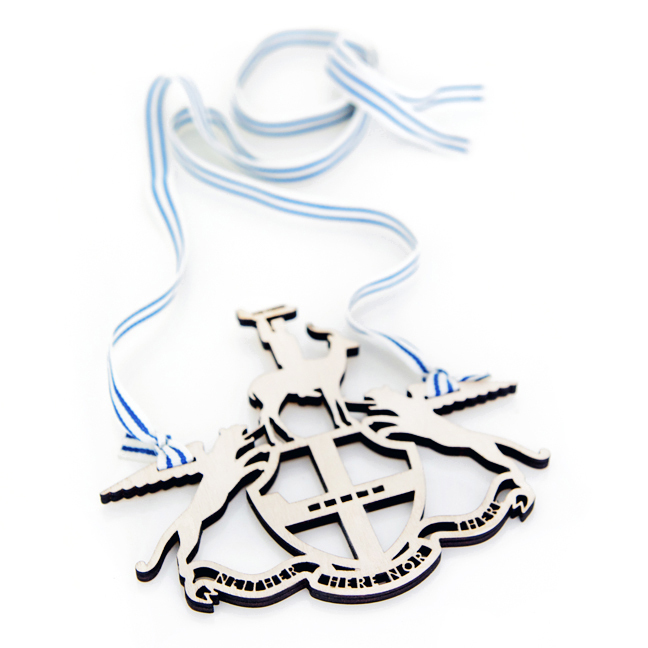 With just the right dose of tongue-in-cheek humor this necklace, reminiscent of badges or medals awarded for acts of valor, will officially grant you “not-faint-of-heart” status.